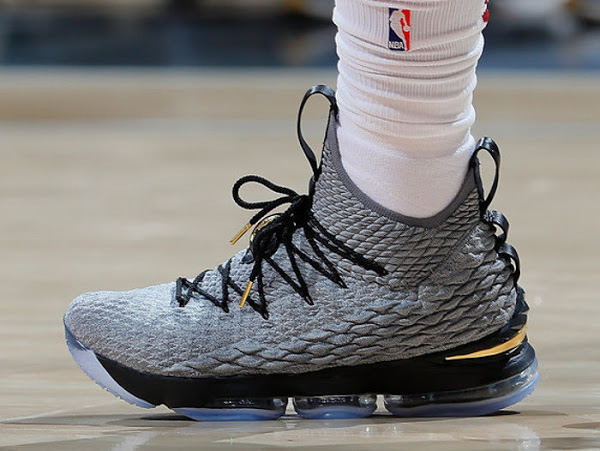 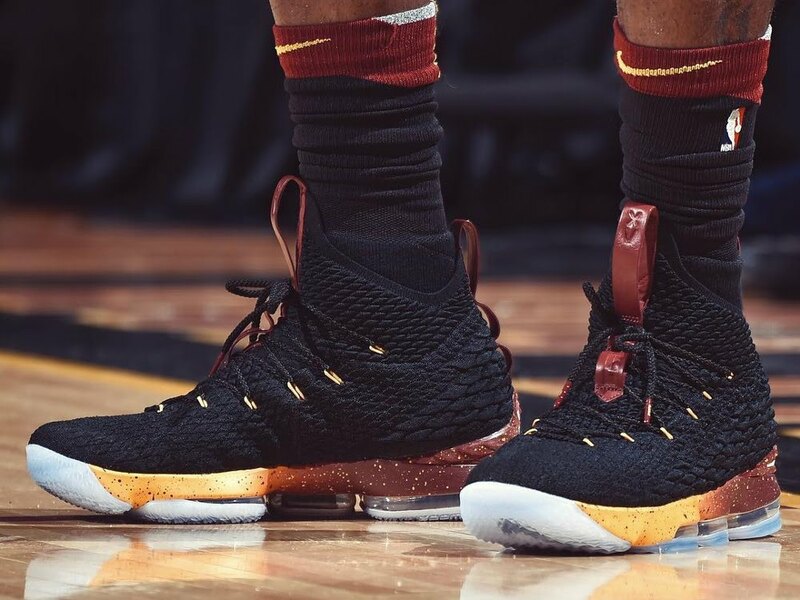 Last night was only the second time in the past month that LeBron James decided to wear the Nike LeBron 15 for a full game without any switching. 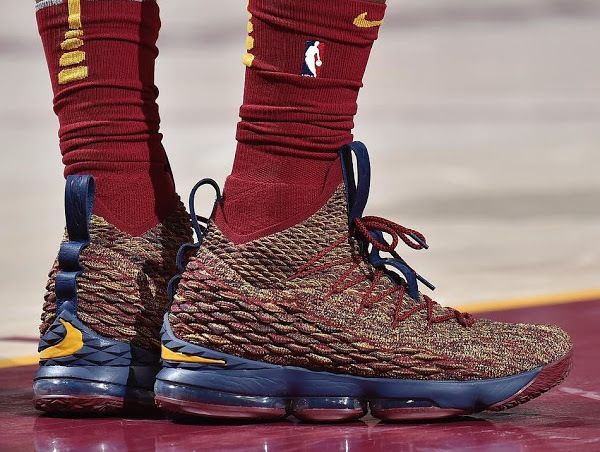 He chose to wear a new Cleveland Cavaliers inspired colorway with a Black upper and a gradient Cavs-themed midsole. 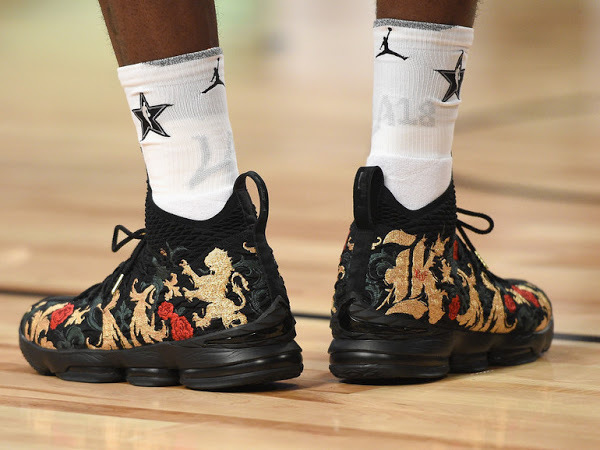 From the look of it James used the modified version of the 15’s with additional outrigger on the lateral side. 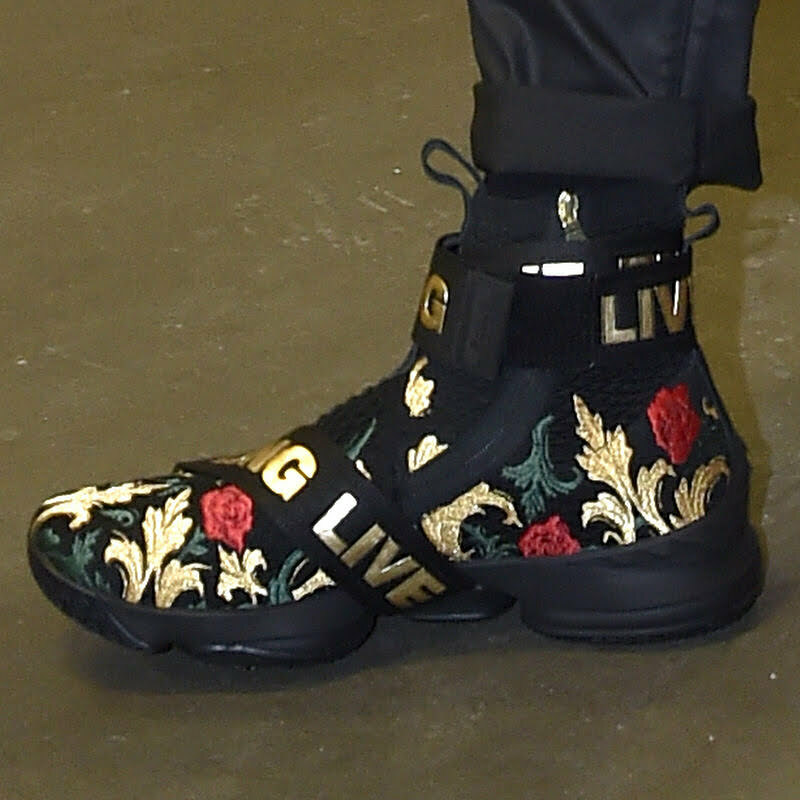 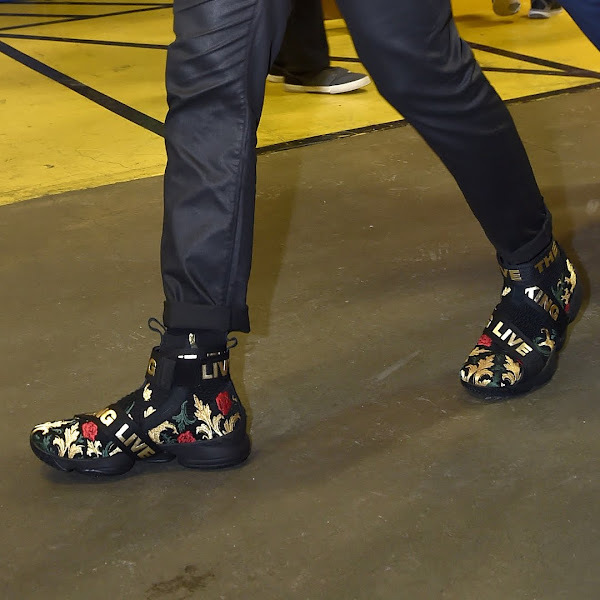 On his way to the arena LeBron rocked one of the much-talked-about Kith collabs… the strapped version with a black floral pattern on the upper. 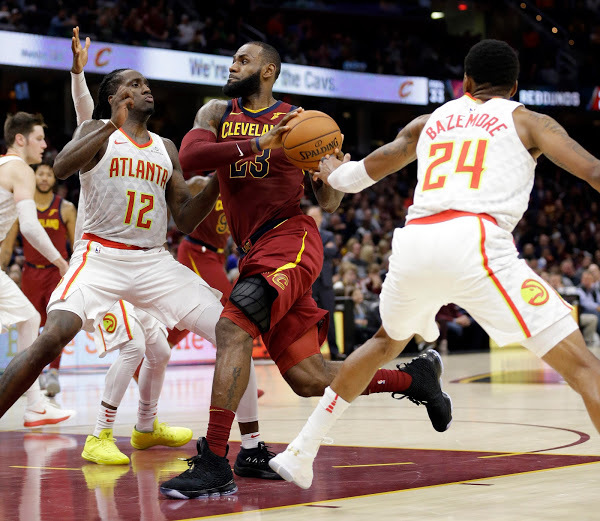 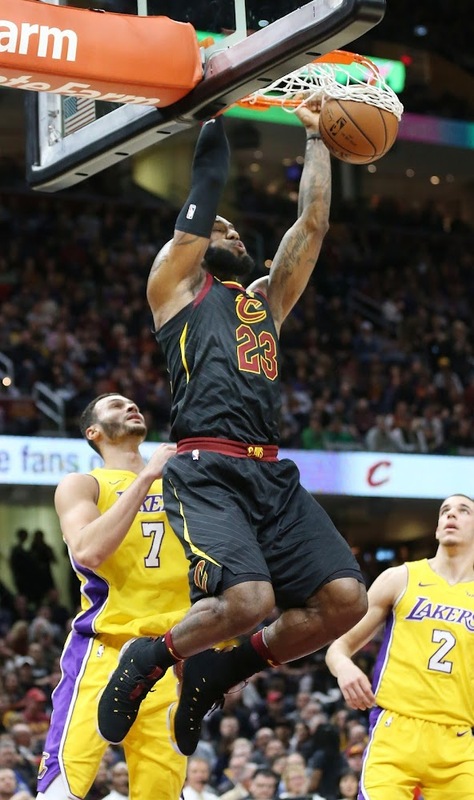 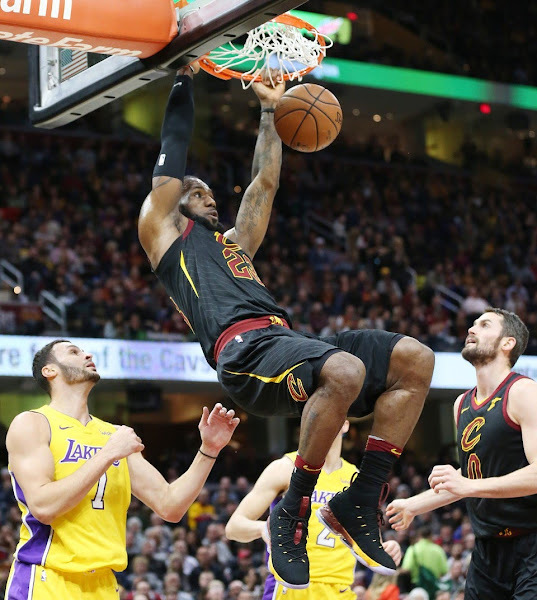 LeBron James posted his 59th career triple-double as the Cavs held off a pesky Los Angeles Lakers team with a 121-112 win on Thursday night. 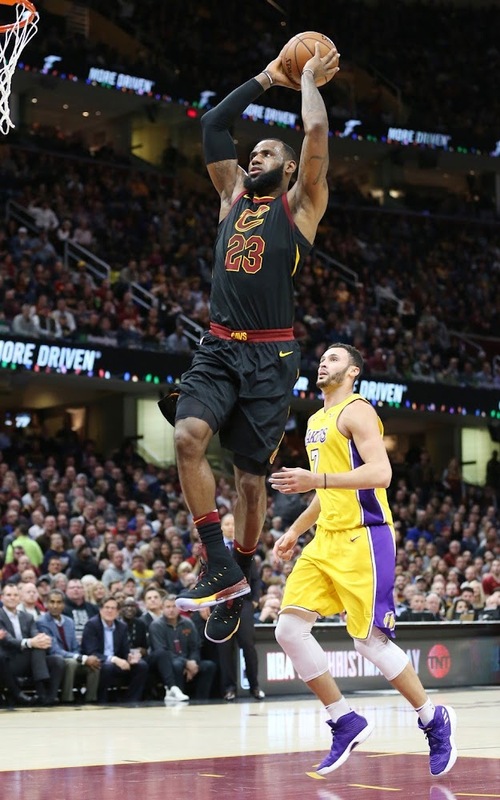 After 29 games played thus far, after last night, The King rocked 28 different sneakers including 16 colorways of the LeBron 15 and 9 colorways of the Soldier 11. 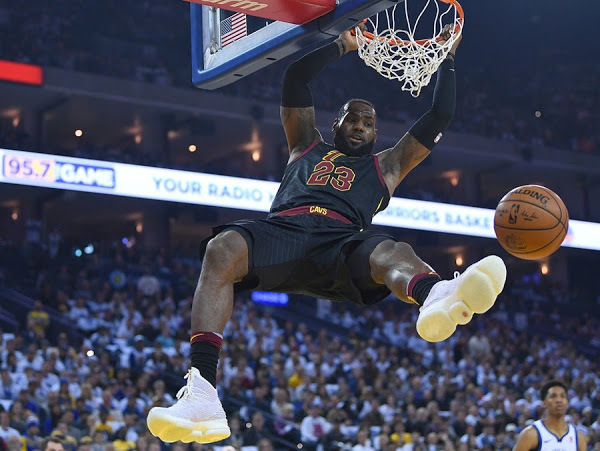 Check out the complete stats here.